The world’s tallest building, tallest hotel, largest manmade island and biggest mall can already be found in Dubai, with a new super-sized collection of skyscrapers, the world’s biggest observation wheel and a host of new hotels and restaurants on the way. But just when you thought Dubai couldn’t get any more wow-worthy, we’ve rounded up some Dubai projects you may have forgotten about, that we can’t wait to see take shape. 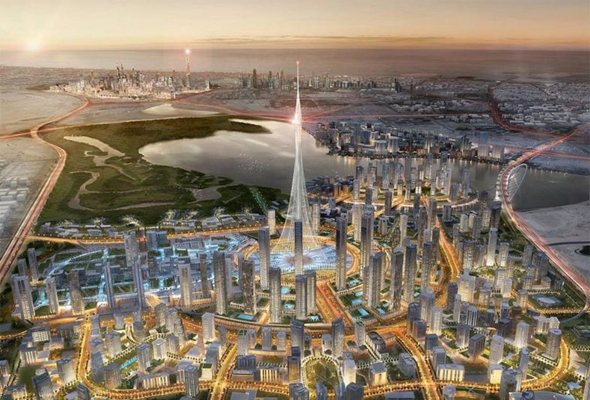 Here are 8 epic Dubai projects we can’t wait to hear more about. 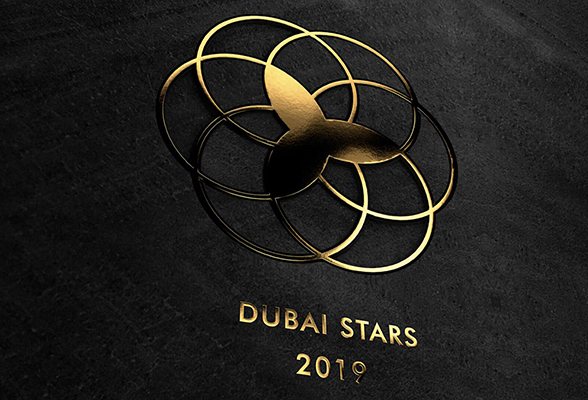 The just-unveiled Dubai Stars project is set to rival the Hollywood Walk of Fame when it launches in Downtown Dubai in October 2019. In its first phase, 400 stars will be revealed – and they’ll all be decided by the general public and then attend a glittering launch ceremony later this year. When fully complete 10,000 celebrities will be housed on the walk of Dubai Stars – that’s four times as many as the original in Hollywood. Yes, another mall for Dubai – but with this one, at least we’ll have the excuse that we’re spending time in nature. 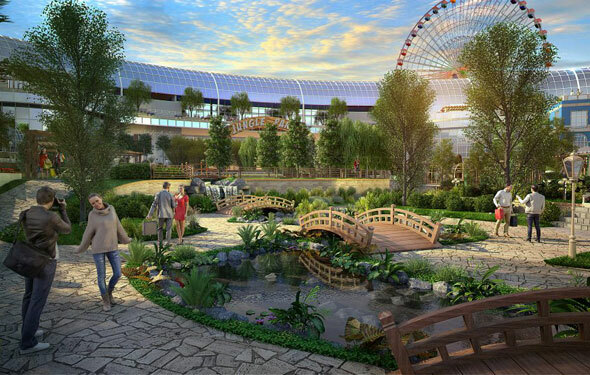 Cityland Mall – which is being developed by the same people behind Dubai Miracle Garden and Dubai Butterfly Garden – is described as the world’s first “nature-inspired” shopping mall, packed with botanical wonders. It’s expected to be in full bloom this year. 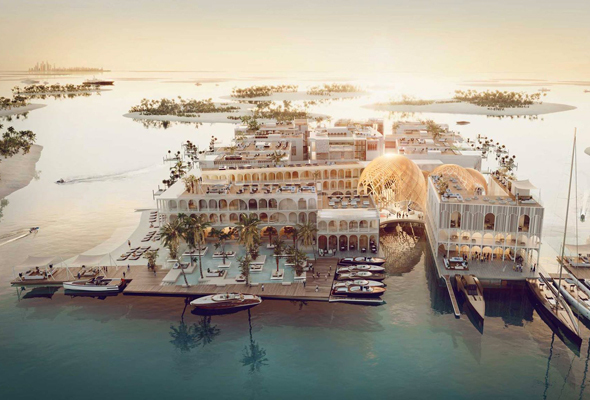 Currently only Lebanon Island on Dubai’s World Islands projects is open for public use, but that’s set to change when the Heart of Europe opens. Masterminded by Austrian developer Kleindienst, it’s spread over six islands. The ‘countries’ that make up the development are Germany, Monaco, Switzerland, St Petersburg and Sweden. 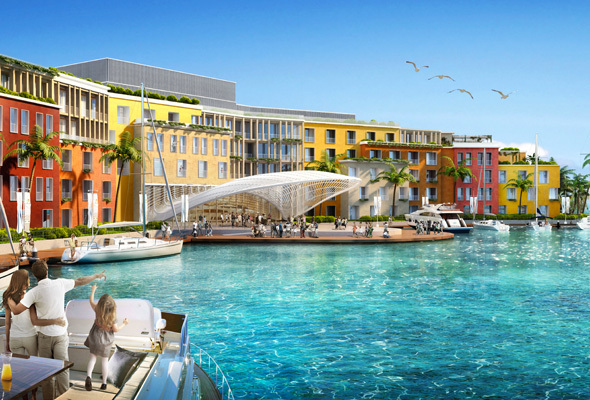 The development will be 4km from the coast of Dubai, which will take about 20 minutes by boat. There will be 12 hotels in the development in total, including a ‘six-star’ hotel on Monaco Island, 10 sold-out palaces on Sweden island and Switzerland island that will be temperature controlled so that it is always snowing. At the end of 2017 we were advised that snow testing would begin imminently, and the first couple of hotels should start receiving guests this year. Another project in the World Islands by Austrian developer Kleindienst, The Floating Venice is a Dhs2.5 billion floating resort which will be built near the World Islands. Described as “the world’s first luxury underwater vessel resort”, it will be able to hold 3,000 guests daily, and will be split over four levels (or decks), one of which is underwater. It scheduled to be open at the end of 2020, so we’re hoping to hear a bit more about it this year. Not content with having the world’s tallest tower, the Burj Khalifa, Dubai is getting yet another world’s tallest tower, aptly named The Tower. 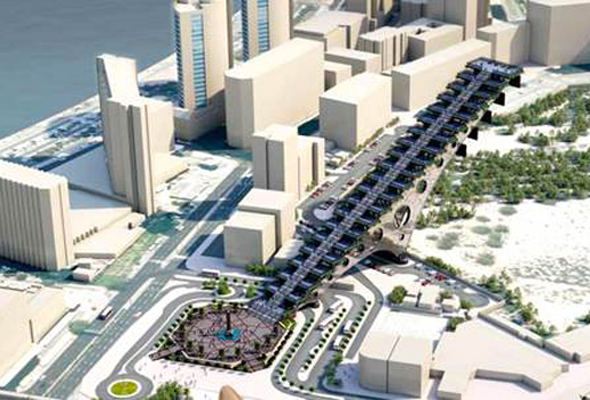 The Dhs3.6 billion project is being built in Dubai Creek Harbour, and is scheduled to be ready by 2020. 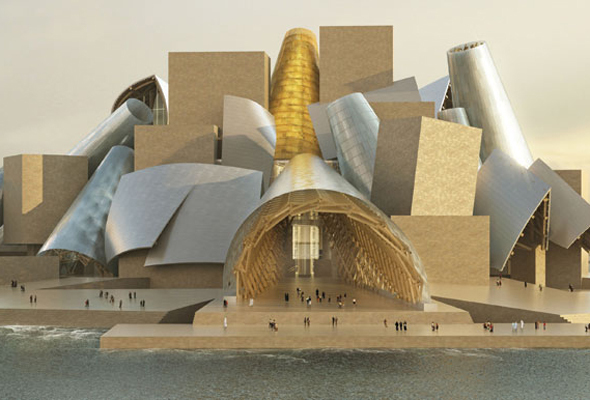 Unveiled in 2015, the architecturally striking Museum of the Future is currently under construction in front of Emirates Towers on Sheikh Zayed Road. The large silver structure is designed in the shape of an eye, hollowed out in the middle. At the time of announcement, HH Sheikh Mohammed wrote on Twitter: “Today we have launched Museum of the Future, featuring innovation labs and a permanent exhibit for future inventions. Museum of the Future is integrated environment empowering creative minds to test, fund and market ideas for futuristic prototypes and services. It is a first step of many to come, marking the beginning of great achievements”. It’s set to open in 2020. Static, this may just look like any other swanky Dubai skyscraper. But what makes Dynamic Tower unique is that the 80-storey building will be the world’s first skyscraper made up of separate rotating floors attached to a central column. 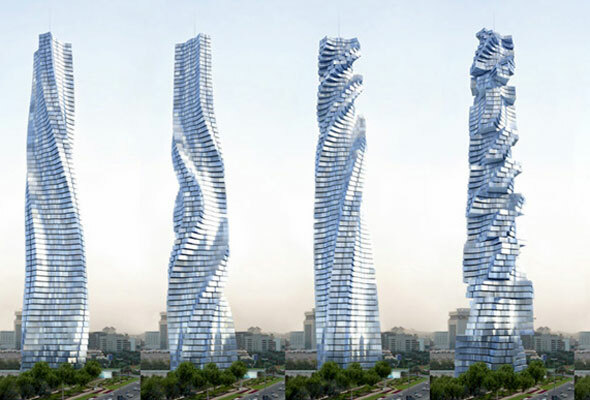 Yes, an actual rotating skyscraper where the apartments also rotate within the rotating skyscraper. First proposed back in 2008 by architect David Fisher, the tower is still without a confirmed building site or construction date, but we’d love to see it kick started this year. The Louvre Abu Dhabi finally opened its impressive doors in November 2017 – and although little information of its neighbour, The Guggenheim, has been given, Saif Ghobash, undersecretary at the Department of Culture and Tourism Abu Dhabi, recently confirmed that mega new tourist attractions Guggenheim Abu Dhabi and Zayed National Museum are still very much in progress. “All I can say now is that with Louvre Abu Dhabi done and completed a year ago, all the other projects have been put into full gear” he was quoted saying. Sounds promising. Extreme sports are about to get even more extreme in the capital. 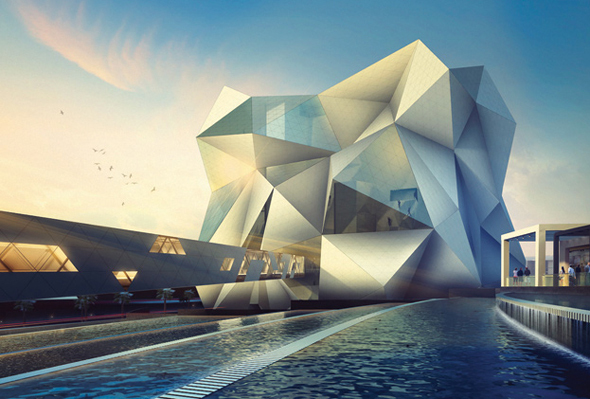 CLYMB, a Dhs367 million indoor attraction on Yas Island, will break two world records when it opens in 2019 – not only will it feature the world’s tallest climbing wall, but the world’s largest flight chamber as well. The climbing section will offer spaces for beginner, intermediate and expert climbers.